This sweet little doll was such a blast to make, I even made her to match my daughter, hence the similar outfits! She was over the moon to have a matching doll. If you're just joining in head over here to get all the details on the CAL and the materials you'll need! 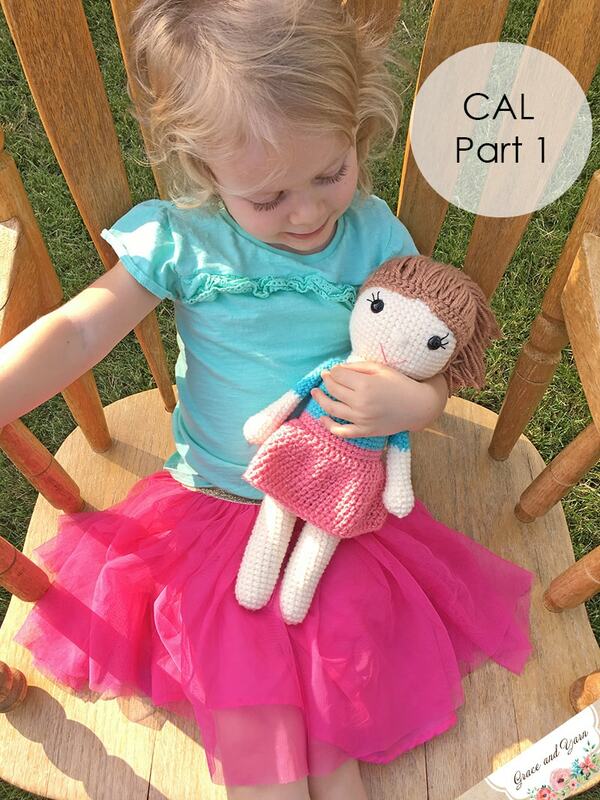 If you have never done a CAL (crochet a long) before, you're in for some fun! Be sure to join the Grace and Yarn Crochet Group on Facebook. You can share your doll (or other crochet goodness you've made) and ask any questions you may have as we go! Below is Part 1, where we will be making the legs, body and skirt. The legs and body are made as one piece so no sewing is required for this part, woohoo! Part 2 we will make the head, hair and facial features! Part 3 we will make the arms and put her together! If you prefer to work with a printable copy or would like to go at your own pace you can purchase an ad-free printable version in my Etsy or Ravelry shop for a low fee! This will remain a free pattern on the blog even after the CAL has ended so don't worry about it going anywhere! You can PIN this CAL to your favorite board to come back to anytime! 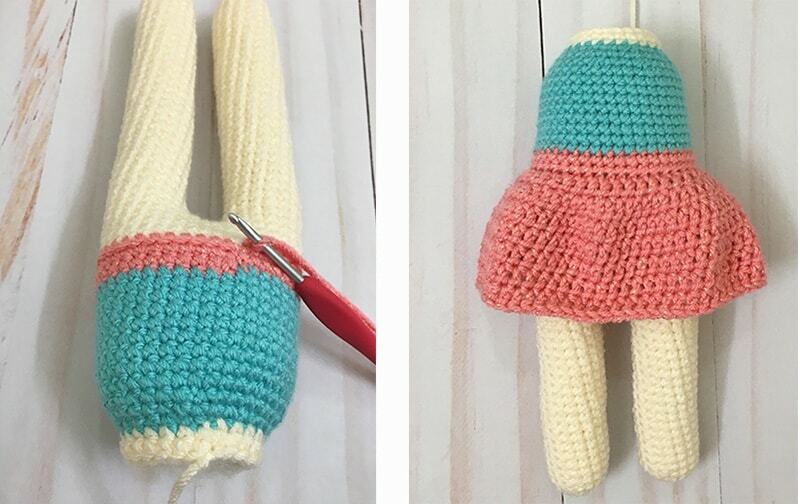 If you are new to amigurumi, I recommend reading through this post first for some great tips! Slowly stuff as you go. Stuffing amigurumi gets easier the more you make. I under-stuffed in the beginning and then went straight into over-stuffing (*sigh*), but I kinda enjoy the learning process to be honest. You will find the perfect balance. We want to stuff firmly by adding a little at a time, looking to stop just before the stitches start to stretch (to avoid gaps)! Alright, lets grab our hook (3.5mm) and yarn! Thanks for the pattern. The doll turned out super cute and the pattern was easy to follow. What is the trick to getting the head not to flop over? I stuffed it really well.